This is just the loveliest news. 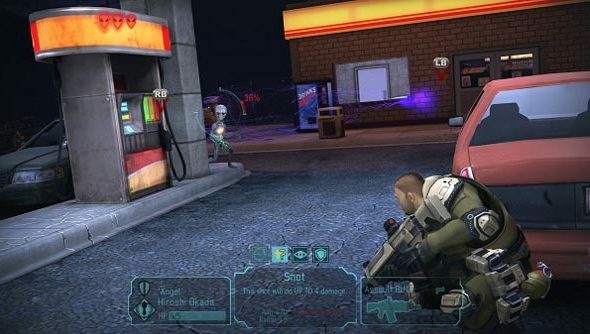 About a month ago I hoped out loud that Julian Gollop might be able to enjoy the new XCOM, being as it is exactly the sort of game he might make. And he does! “I think Firaxis has done a great job,” Gollop told Eurogamer. “The game is addictive and absorbing, not to mention quite challenging on the classic difficulty setting.” Too right. Gollop has reportedly invested plenty of time in the remake from his Bulgaria hideaway. “One small disappointment is that the positions of events and bases in the world view have no relevance at all,” Gollop continued. “I often get the feeling that some things are just too deliberately contrived. The three simultaneous abduction sites [of which the player can only respond to one] being the worst offender. The original X-Com had significantly more pseudo-random elements. I don’t know about you, but I’m chuffed.